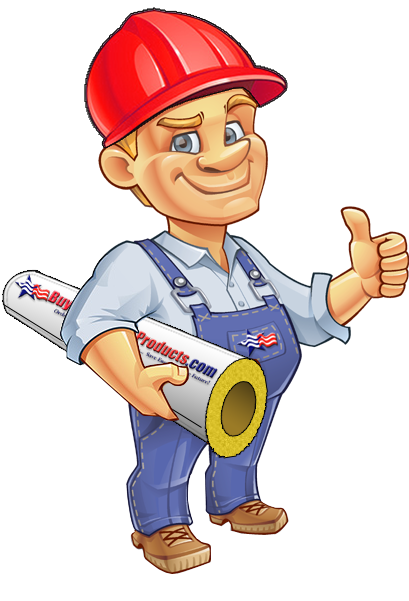 HVAC Board Insulation is used to insulate interior and exterior commercial HVAC ductwork. Fiberglass is the most commonly used HVAC insulation however we also offer mineralwool board which has a higher temperature rating (used more for industrial ductwork). Fiberglass Board Insulation: We offer multiple thicknesses (1", 1-1/2", 2") and multiple facings (Plain, ASJ, FRK) and multiple densities (3#/6#). Mineralwool Board Insulation: Used on high temperature ductwork with max operating temperatures up to 1200°F. Rubber Elastomeric Sheets: Used as insulation on chillers and ductwork with "fiber free" restrictions such as hospitals. Aluminum Cladding: Aluminum Cladding membranes and tapes protect exterior HVAC insulation from UV and weather. Pins / Fasteners: Tools and fasteners used to installing HVAC board insulation on ductwork.